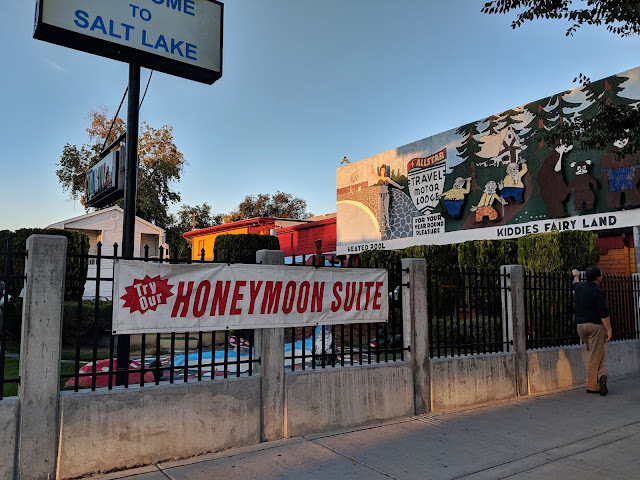 As you make your way over the tracks and start to cross into an area of Salt Lake City where the scenery has changed from pretty Mormon Temples and gardens to fast food joints labeled "rancheritos", you are just about there. Red Iguana will be easy to find because there is always a crowd of people lined up outside its doors any day of the week. There is free valet parking in the large lot and after parking, you walk up to the front door, grab a hot cider from the huge thermos out front and check with the hostess who sets up shop outside and is happy to put you on the hour-long waiting list while you stand under the heater with the rest of your mole loving cohorts. This restaurant has an hour-long wait on a Monday for a very good reason. It puts out huge portions of authentic yet unique, absolutely amazing and fairly priced Mexican food. Whenever someone comes to Salt Lake City, this is where I take them for a really good casual yet awesome dinner. This meal is what they remember and this is where they want to come back. 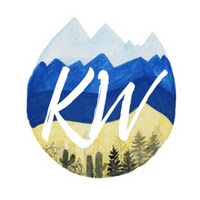 It's simple and classic, affordable and hearty and if you asked me, this is one of those "not to be missed" dinners out in Salt Lake City. 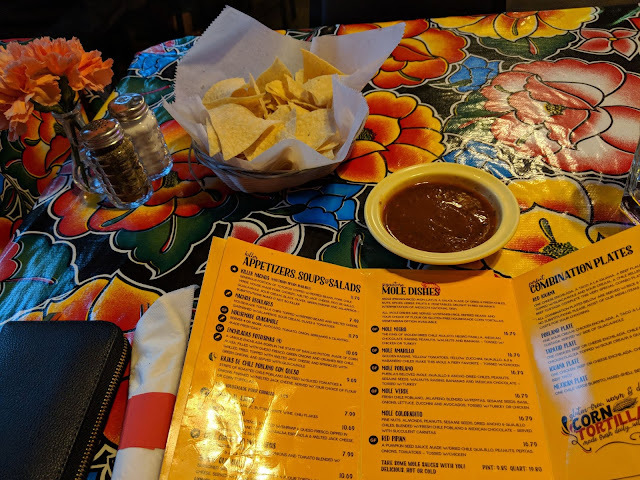 Yes, you need to have a nice dinner at Copper Onion, but you also need to wear a paper napkin as you crush mole dishes at Red Iguana. Utah makes some mighty fine Mexican food and Red Iguana sets the "barrrito" high. The inside of the restaurant is a no-frills, simple and basic typical Mexican joint. All the emphasis here is on the food (and the wall of accolades on your way to the bathroom of course). The moment you walk into the restaurant you will see happy diners in front of big plates of amazing tacos, burritos, flautas, enchiladas, mole dishes, and more. One of the secrets most people don't know about is the mole sampler. Promise me you won't go to Red Iguana without asking for the mole sampler - this is really important. 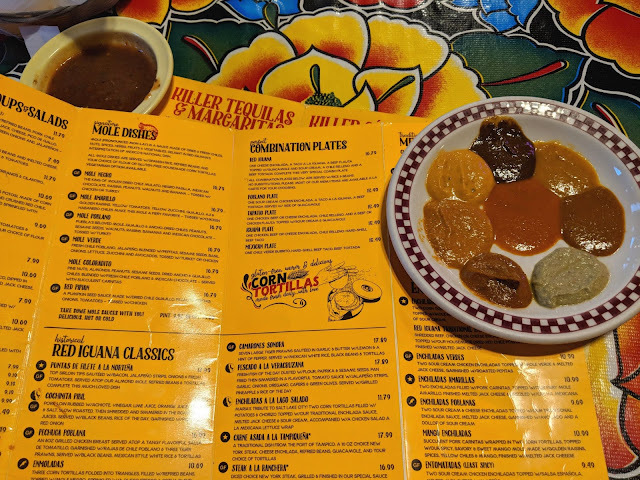 When you order your jalapeno margarita and before you order your meal, request the mole sampler and you will soon be sitting in front of 9 homemade mole sauces to sample, free of charge. You take the tortilla chips and dip them into these amazing saucey puddles of moles, ranging from deep greens to rich browns, tasting from spicy mango to nutty chocolate and you try to narrow down your options to just one. It isn't easy, and you will have to go around this circle a few times to find the mole that strikes your fancy. The mole sauces are paired with various proteins (chicken, turkey, pork, and steak- recommendations are included with each mole on the menu) and whichever one you chose, will come drowning in one of these sauces. My favorite? 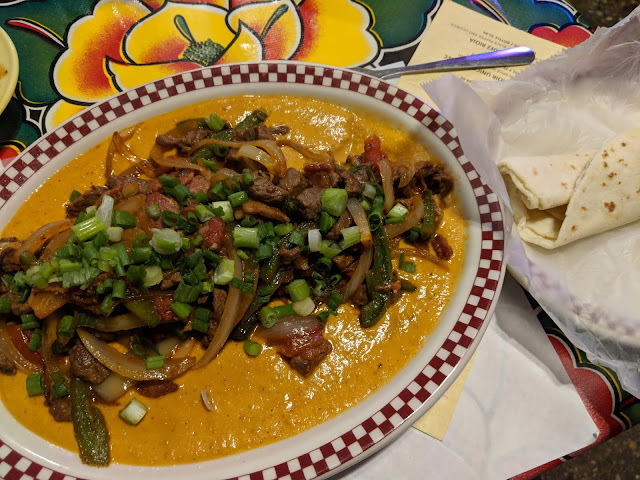 The coloradito - pine nuts, almonds, peanuts, sesame seeds, dried ancho and guajillo chiles blended with fresh chile poblano and Mexican chocolate, served with carnitas. Oh, and warm flour tortillas to put all that in with rice and refried black beans on the side. It's my favorite mole, rich and nutty and not too sweet. So now you know a little bit about the food, a lot about the location, and all about the moles. 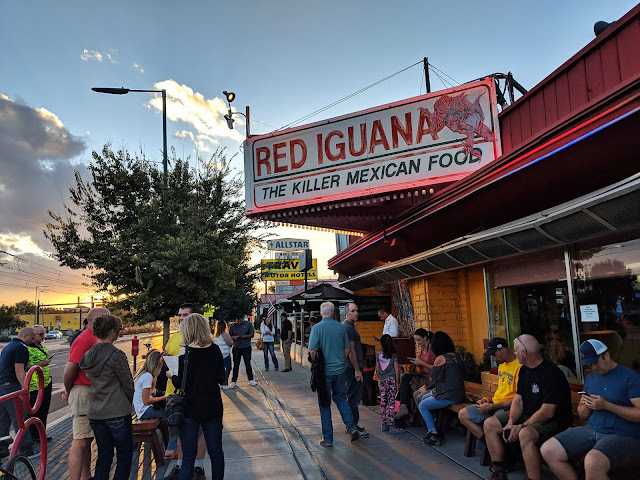 It's only fair to cover a little bit of history on how Red Iguana came to be the home of Killer Mexican Food. "Ramon and Maria Cardenas started in the restaurant business over forty years ago. Ramon was born in San Luis Potosi. Maria, born in Chihuahua, Mexico. Together, they shared a passion for Mexican cuisine, and created recipes and dishes proudly served as delicious expressions of their cultural background. The Red Iguana restaurant opened its doors in 1985 to resounding applause and numerous local and national awards. The Cardenas family has had the pleasure of serving its dedicated patrons in the Salt Lake Valley since 1965 with the Casa Grande and Red Iguana restaurants. Ramon and Maria created unique yet traditional Mexican recipes, now passed on to the Cardenas children who are proudly continuing the family tradition". There is always, a line. Monday or Saturday, it doesn't matter ... there is always a line. They do not take reservations and your whole party has to be there to be seated. Your best bet? Put in your name and take a drive to the Capital. Or better yet, take a trip down the road to the Mexican grocery store where you too can witness someone buying Tapatio in unimaginable sizes. And the tres leches cake oh, it's good. 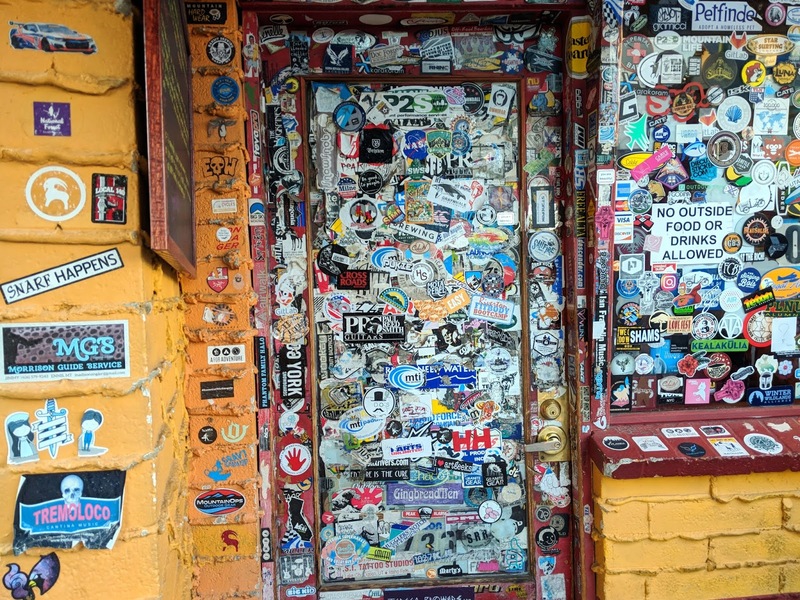 The press has only increased the wait line to this famous joint - the restaurant was featured on Diners Drive-Ins and Dives. On Google, this spot has 4.6 stars out of 3,895 reviews - let that sink in. Salt Lake City is a big conference destination and all those conference attendees know about this spot too. Red Iguana is no secret. Refer to point 1. They also opened up a fast food version "Taste of Red Iguana" at City Creek Center. There are so many ways to eat Red Iguana but I recommend the original. There is an endless supply of chips and salsa (homemade and two different levels of spice) and as you probably know, there is only one way to eat chips and salsa - it's until you hate yourself. The dishes range from $10 to $18 dollars and they are massive. Do not over order, or take some to go. You can also buy their mole sauces to go. You will wait in line, but I promise, this is one of those lines and trendy spots worth waiting for because behind that stickered door there is some kind of pork product covered in a mole sauce that you just really need to go eat. There are warm tortillas that need to be filled and refried black beans you must consume. You need to experience the mole sampler and come back and thank me. You need to try their homemade salsas and have a few margaritas. And after all that, you need to bring your friends/families/visitors there because this is one of those turned touristy spots that is entirely worth the wait. I've been here at least 10 times sometimes in a crowd, often at a table for two, and even alone (no shame when it comes to my taco game). In a city where new restaurants are popping up all the time, this is still the place I need to go every time I stop in Salt Lake.